You want to read the Final Communique´ ? 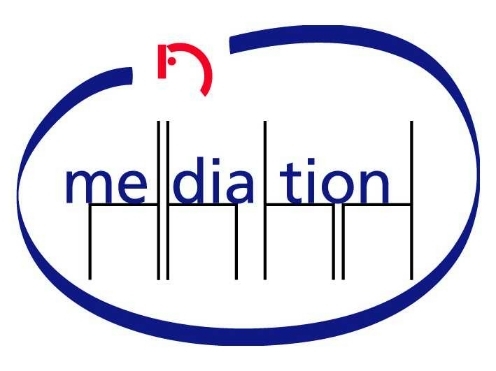 In times of ever growing judicial caseloads and budgetary restraints, European juridical policy is focusing more and more on mediation as an especially appropriate and innovative means of resolving disputes outside of the court system. Therefore in early 2002, the former Minister of Justice, Prof. Dr. Christian Pfeiffer, decided to establish the project Court-Based Mediation in Lower Saxony, founded on the ideas of Prof. Dr. Walter Gottwald, Luneburg. The project started in 2002 and came to an end in 2005. Because of its success, court-based mediation is still running in lower-saxony and other parts of Germany. In terms of its scope, this project had been unique in the whole of Germany. In six Courts of Lower Saxony, i.e. County Courts, District Courts, Administrative Court and Social Court, the potential and the limitations of mediation will be assessed over a period of three years. Within this framework, the process of mediation is offered to the parties as an option in addition to the traditional ways of resolving their disputes through formal judicial judgement or settlement. In this way, even ongoing lawsuits can be directed towards an amicable solution through mediation. Since Sept. 1st, 2002, specially trained judges of the Project courts offer the parties and their lawyers the option of resolving their conflict through mediation. It is understood by all that, should the mediation fail, the judges may not preside over the cases they have tried to mediate. When acting as judge-mediators, the participating judges may neither adjudicate the disputes nor offer legal advice. Each party has the opportunity to present his or her views to the mediator and to the other party. As a result of everyone developing a fuller understanding of both sides’ perspectives, the parties can explore possible outcomes that serve what both sides consider important. In this way, the parties are in the position to reach a result that is not based principally on what happened in the past, but rather on what will serve them both best for the future, including any possible future relationship. In addition, the "regular" judges of the Project courts are being trained to to act as ”gatekeepers.” They have to identify cases to mediate, informing the parties and their lawyers about the existing court mediation options and suggesting court-based mediation to the parties. The parties and their lawyers may also raise the issue of mediation on their own initiative. The Project worked closely together with the Center for Mediation in Law, especially with Jack Himmelstein, New York, and Gary Friedman, San Francisco. Both conducted specialized training for judge mediators as well as a overall mediation training for lawyers and other professionals. The results of the Project are being assessed by way of simultaneously conducted economic and social research. This research will reveal if and in which case constellations court-based mediation offers a sensible further option in addition to existing court procedures and in which way the program can be organized most efficiently. If you want further details: e-mail us !